Some people call it wild garlic; some people call it field garlic. 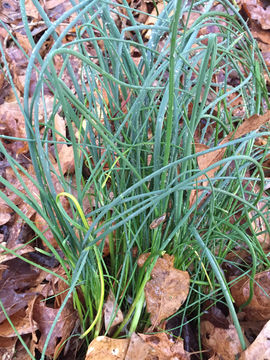 Whatever you call it, Allium vineale is actually a strong and flavorful vegetable. The flavor and appearance actually resemble those of onion more than garlic. It is a perennial, bulb forming species in the lily (Liliaceae) family and is native to North-western Africa (i.e. Algeria and Morocco), the Canary Islands, Europe and western Asia (i.e. Lebanon, Syria, Turkey, Armenia and Azerbaijan). The species was introduced in Australia and North America, where it has become a harmful weed. 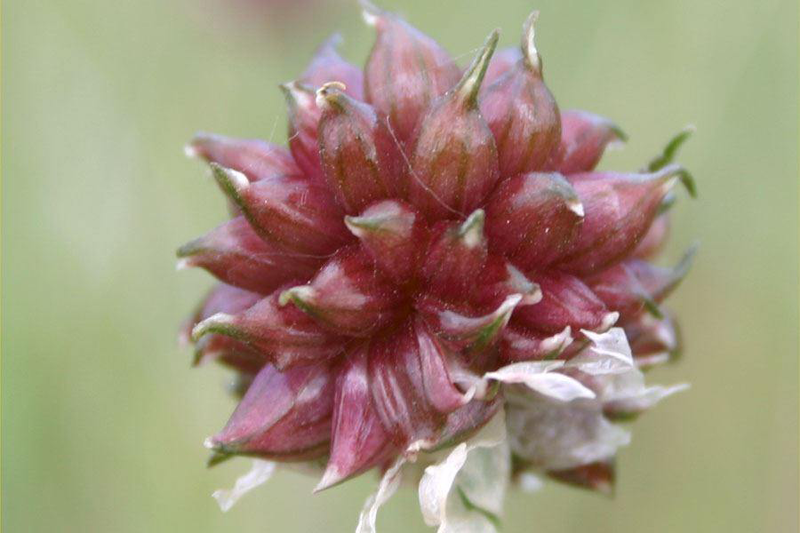 Few of the popular common names of the plant are crow garlic, false garlic, field garlic, scallions, stag garlic, stag’s garlic, wild garlic, wild onion, compact onion and Koch’s garlic. 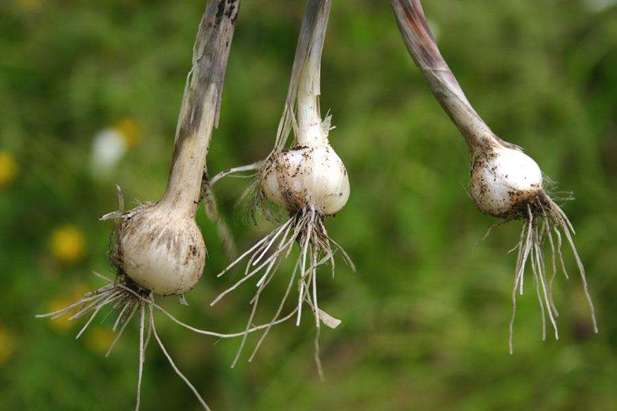 All parts of the plant have a strong garlic odor. 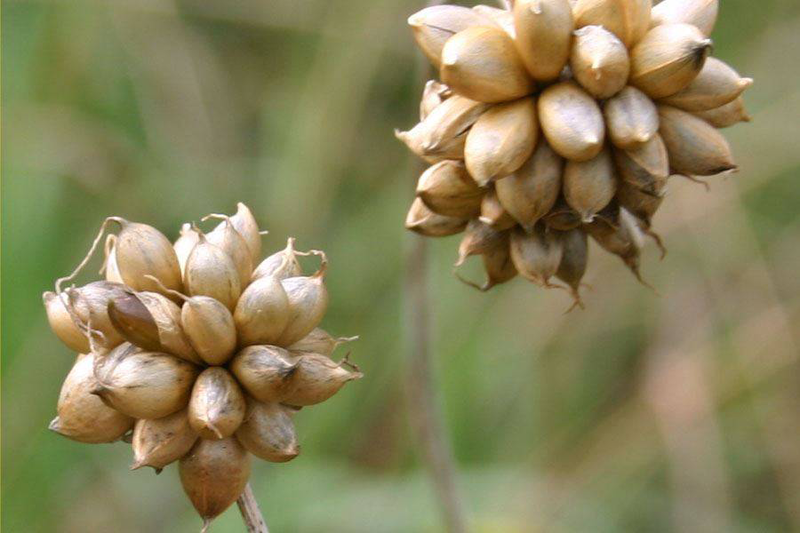 Wild onion (Allium vineale), also called scallions, and wild garlic, is a upright, erect, long-lived, perennial, herbaceous plant perennial plant in Liliaceae family that grows about 30-60 cm tall, but sometimes reaching up to 1 m in height. 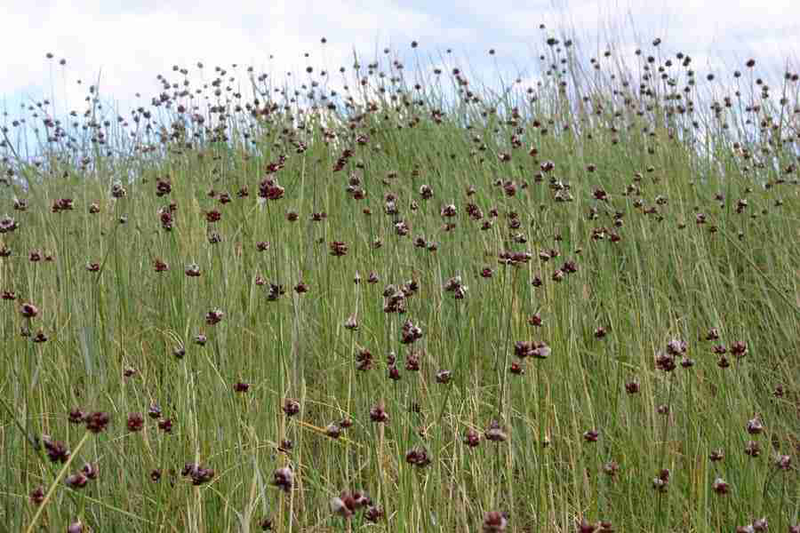 The plant is found growing in prairie remnants and other areas along railroads, degraded meadows near rivers or woodlands, woodland borders and thickets, vacant lots, grassy clay banks, poorly maintained lawns, and waste areas. The plant prefers heavy soil containing some clay. However, other kinds of soil are tolerated as well. The primary underground structure is a bulb (2/5 to 4/5 inch wide), which produces fibrous roots from the bottom surface. Bulbs are oval or rounded, and covered with a brittle, membranous, papery outer layer. 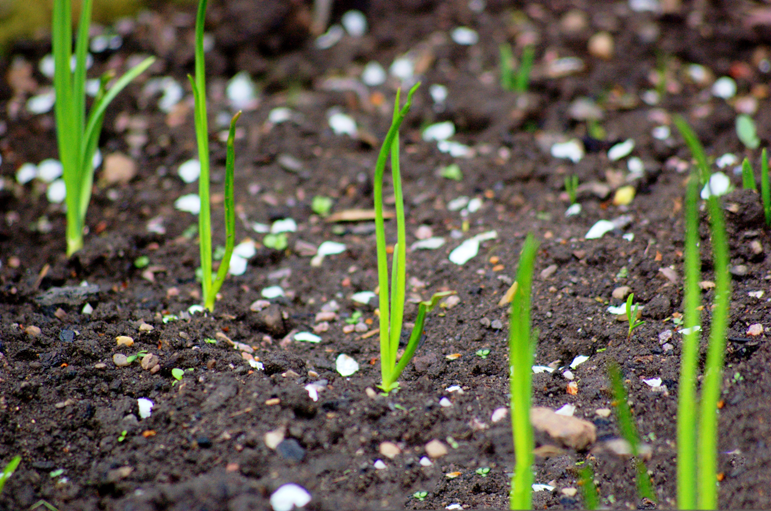 Mature bulbs produce 2 types of underground bulb lets at the base. 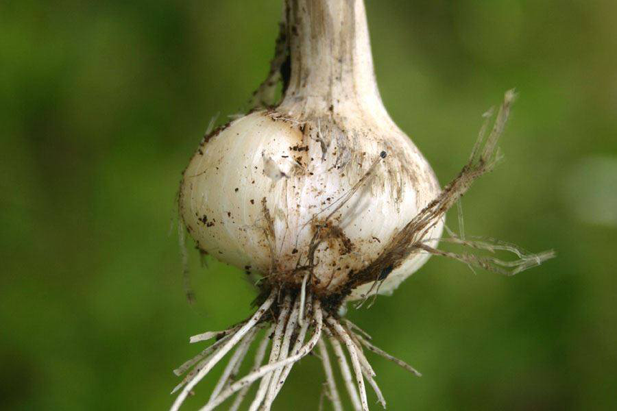 Soft-coated bulb lets (1/3 to 2/3 inch long) are white and teardrop-shaped, and can germinate the first autumn. Hard-coated bulb lets (1/2 inch long) are light brown, oval and flattened on one side, and germinate the following spring or later. 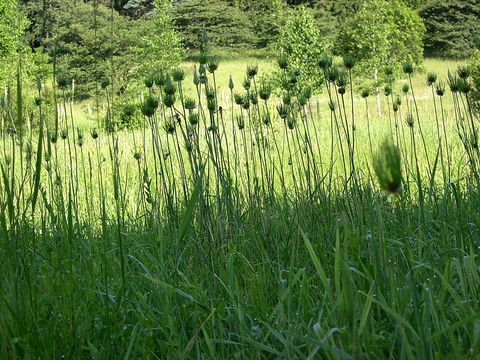 The smooth, waxy stems are erect, unbranched, slender, hairless and rounded, and can grow 1 to 3 1/2 feet high. 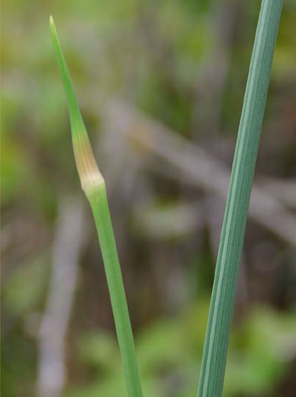 Stems are usually solid, and become rigid with age. 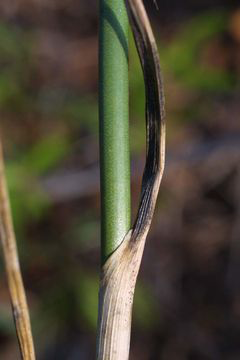 Basal leaves emerge from the bulb, and are 1/2 to 2 feet long, slender, smooth, hollow, and nearly round in cross section. 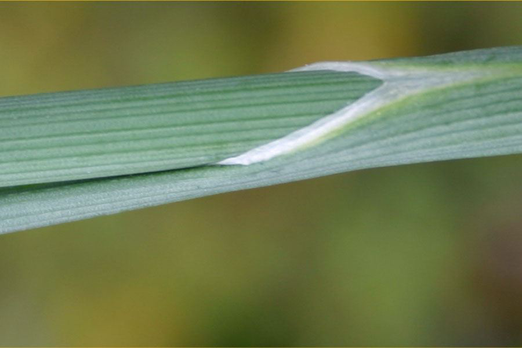 Stem leaves are produced along the lower half of the stem, and are composed of a tubular sheath surrounding the stem and a smooth, hollow, grass-like blade. The blades are flattened at the base, but nearly round toward the end. The sheaths cover the lower half of the stem. Flowers or aerial bulblets are produced in dense spherical clusters (3/4 to 2 inches wide) at the tops of stems. Clusters are initially covered in a papery bract (spathe). Flowers are purplish to greenish (sometimes white), with 6 small petals, and are borne on short stalks above the bulblets. Aerial bulblets are commonly produced in place of some or all the flowers, and are oval or teardrop-shaped and very small (1/8 to 1/5 inch long). They are smooth, shiny, and often develop miniature, tail-like green leaves. Flowering normally takes place from June to July. 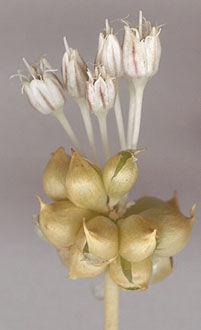 From the flowers, 2-seeded fruits are produced in egg-shaped small capsules also about 3-4 mm long. 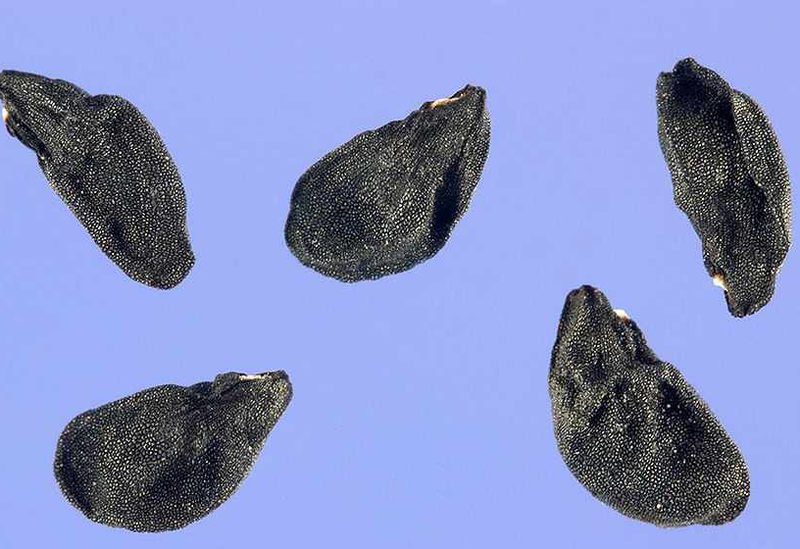 Seeds are about also about 3-4 mm long, flattened on one side, dull black, and wrinkled. Seeds start ripening from August to September. Just 70 grams of Wild onion provides the daily recommended intake of Vitamin K, which has a potential role in bone health by promoting bone formation and strengthening activity. Sufficient vitamin K levels in the diet help limit neuronal damage in the brain which displays an established role in the treatment of Alzheimer’s disease. 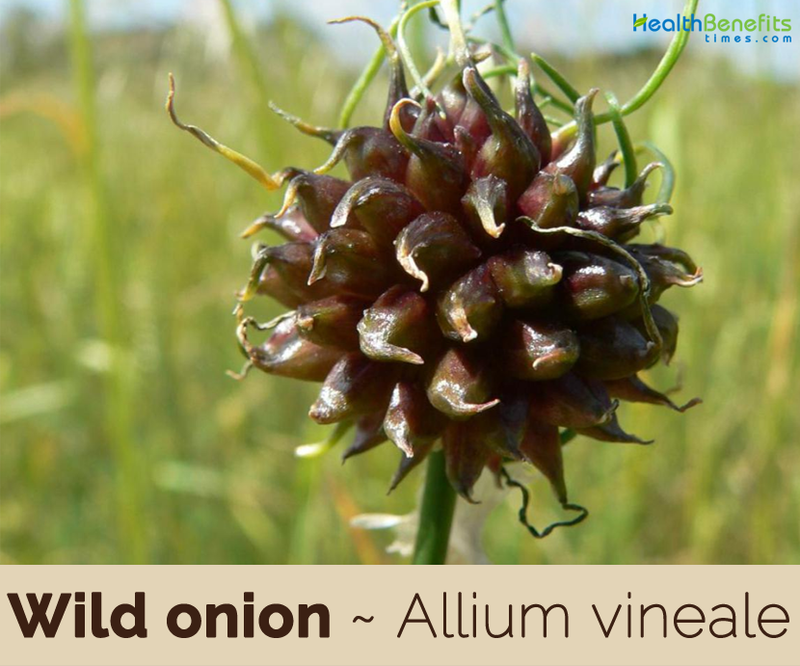 Wild onion decreases blood vessel stiffness by release of nitric oxide and brings a reduction in the total blood pressure. It prevents platelet clot formation and has fibrinolytic action in the blood vessels which helps decrease an overall risk of coronary artery disease, peripheral vascular diseases, and stroke. It decreases the production of bad cholesterol and makes your liver very happy. They’re also found to have strong antiviral, anti-fungal and antibacterial properties. Extracts from Wild onion leaves have been shown to prevent the growth of various types of cancers including breast, lung and colon cancer. In this regard, it is more beneficial than regular garlic. 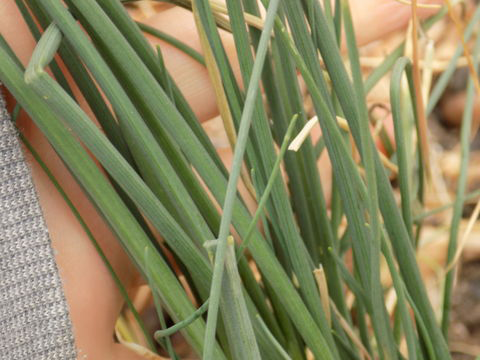 Like its cultivated relative, Wild onion can be beneficial for gut flora. Your gut flora has an impact on multiple aspects of your mental and physical health. Whole plant is anti-asthmatic, blood purifier, carminative, cathartic, diuretic, expectorant, hypotensive, stimulant and vasodilator. Tincture is used to prevent worms and colic in children, and also as a remedy for croup. Raw root can be eaten to reduce blood pressure and also to ease shortness of breath. They contain sulphur compounds and when added to the diet on a regular basis they help reduce blood cholesterol levels, act as a tonic to the digestive system and also tonify the circulatory system. It also may help to regulate blood sugar and is loaded with vitamins and minerals. 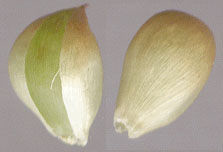 Leaves raw or cooked are used as a garlic. Bulb is used as a flavoring. Leaves of wild garlic are foraged to make soups, sauces (similar to pesto), as well as cheeses. Leaves can also be eaten raw like salad greens. You can also chop them finely and add them to mashed potatoes the way you might add chives. Flowers are edible and can be used to garnish salads. Steamed leaf stalks with buds make an interesting alternative to spaghetti. Young fruits make a spicy condiment. Leaves could be wrapped around lamb or fish and grilled for a mild garlic flavor. 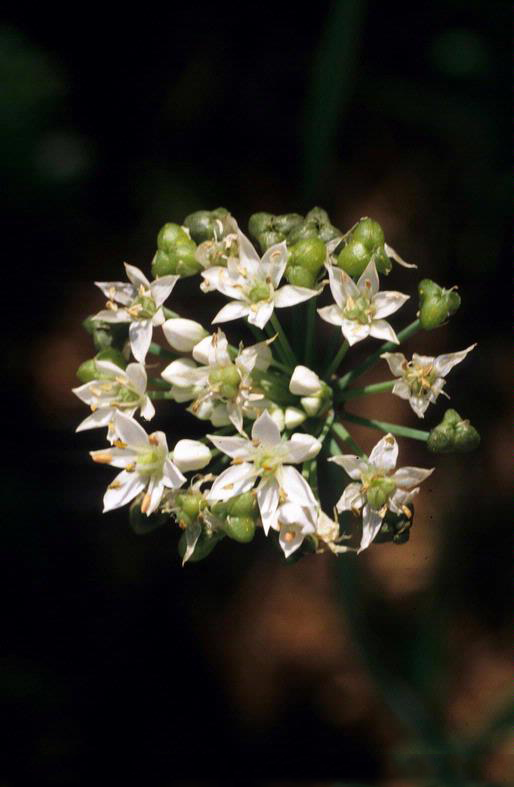 During 19th century, wild garlic was used to flavor butter instead of salt. For a quick bite, the young leaves can be eaten with bread and butter. Leaves are eaten in spring salads dressed with oil and vinegar, cooked like spinach or made into a sour soup in Romania. 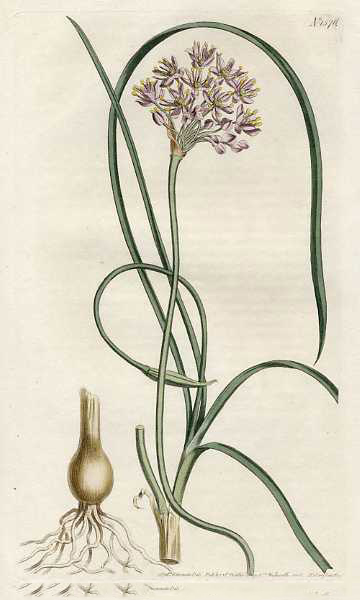 While Allium vineale has been suggested as a substitute for garlic, it has an unpleasant after taste compared to that of garlic. Juice of the plant is used as a moth repellent. Whole plant is said to repel insects and moles. Juice of the plant can be rubbed on exposed parts of the body to repel biting insects, scorpions etc. 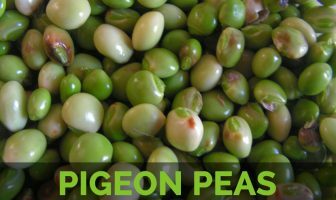 There have been cases of poisoning caused by the consumption, in large quantities and by some mammals, of this species. Dogs seem to be particularly susceptible. Allium affine Boiss. & Heldr. Allium campestre Schleich. ex Steud. Allium canadense Schult. & Schult.f. Allium margaritaceum var. bulbiferum Batt. & Trab. Allium margaritaceum var. compactum Batt. & Trab. Allium rotundum Wimm. & Grab. 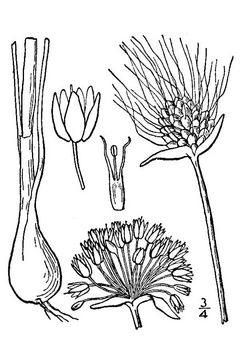 Allium sphaerocephalum Crome ex Schltdl. Allium vineale f. virens Boiss. Allium vineale subsp. affine (Regel) K.Richt. Allium vineale subsp. asperiflorum (Regel) K.Richt. Allium vineale subsp. capsuliferum (W.D.J.Koch) K.Richt. Allium vineale subsp. compactum (Thuill.) Coss. & Germ. Allium vineale subsp. compactum (Thuill.) K.Richt. Allium vineale subsp. kochii (Lange) K.Richt. Allium vineale subsp. vineale L.
Allium vineale var. compactum (Thuill.) Asch.